Hi, In this blog I will explain How to Integrate Font Awesome 4.0 with Twitter Bootstrap3.0. Firstly, What is Font Awesome? Font Awesome gives you scalable vector icons that can instantly be customized to any size, color, drop shadow, and anything that can be done with the power of CSS. In a single collection, Font Awesome is a photographic language of web-related actions. Step1: Will download pre compiled Font Awesome 4.0 files from Font Awesome website(http://fontawesome.io/). Click on Download button. font-awesome-4.0.3.zip folder will be downloaded on your local system. Cut the files from downloads folder and paste it to your Website/resources folder. Will Click on Download Bootstrap button. Pre compiled Bootstrap zipped files(bootstrap-3.0.3-dist.zip) will be downloaded on your system. We will copy Font awesome css files to our Portfolio css folder. And Similary we will copy Font Awesome Fonts folder to Portfolio fonts folder.Once folders have been copied to our portfolio folder. 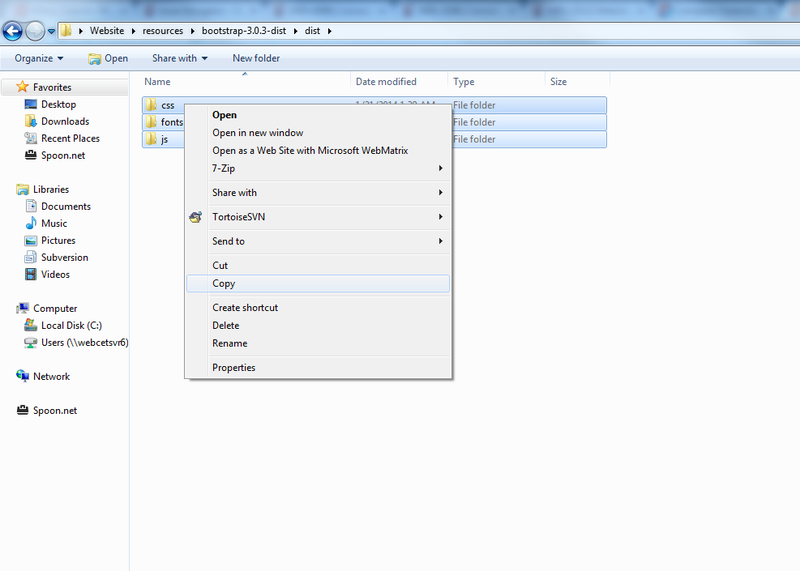 And all folder structure has been done as instructed will create HTML5 document using dreamweaver. Once HTML5 document created.We will link Bootstrap css files and font awesome css links. Start copying which ever icon you needed and copy the related code to that icon and paste it to html5 document we created. And preview the html document in browser to see the fonts in action. Please subscribe to my blog.TO know more about me visit http://www.nithinchandrasr.com/.